1. Place all ingredients in a medium saucepan and bring to a boil. 2. 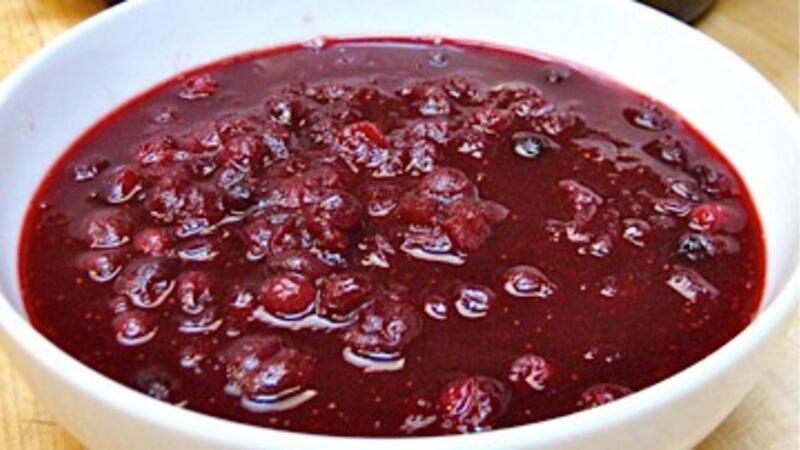 Reduce heat to low and cook until cranberries have popped and liquid has reduced to desired thickness (1-2 hours). 3. Remove cinnamon sticks and bay leaf. Serve warm or chilled. Not just for Thanksgiving, this sweet, crimson sauce makes an equally incredible ice cream sundae topping as it does a jam stand-in! © Recipe by David Samson and Allison Rivers Samson, Self-care Coach, award-winning vegan chef and author of Quick + Easy DIY Salad Bar, The Dairy-Freedom Cookbook, Comfortably Yum, and Co-Founder of The Dairy Detox.